Briarcliff MX will be hosting The Dan Hoisington Memorial Ride on Saturday August 5th from 11AM to 5PM. Dan tragically passed away earlier this summer, and the best way to honor his memory would be with a fun day of riding at his favorite track. The event will include a full day of riding, Pit Bike races at 6PM, Raffles, a KFX450R meet, music by DJ R3DLine, and Fireworks. All AMA Pro Riders will receive free admission. Please come out for a great day of riding, and show your support for the family of one of ATV Motocross’s most likable racers. Dan Hoisington was born on December 15, 1992, He was a mere 25 years old at the time of his passing. 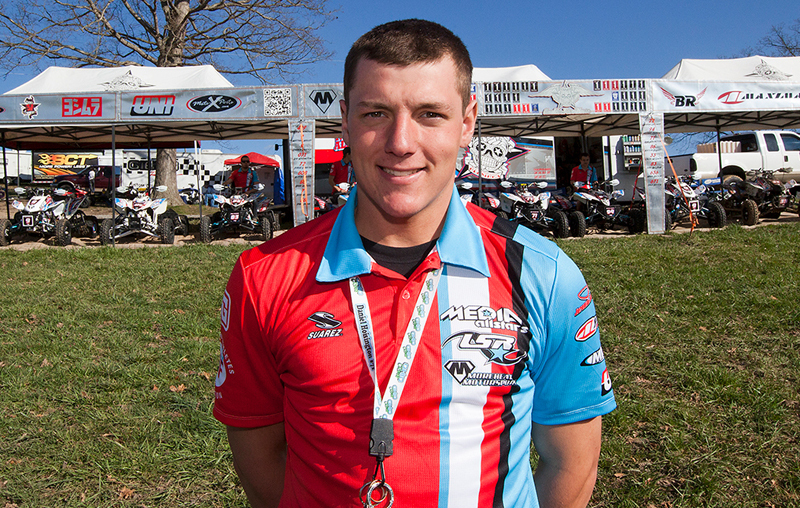 Dan’s racing career started in Ohio at the age of 15, before quickly transitioning to the ATV Motocross Nationals at age 16. Throughout his career, Dan enjoyed success with numerous teams including the Media Allstars, Vechery Racing, & Koster Racing, he was also supported by the Sandridge Salad Company. Regardless of team affiliation, Dan managed to keep the support of Tim Dettling, and Cycles R Us throughout his entire racing career. It would be hard to find a more likable, loyal, or tenacious racer than Dan; the intensity he showed on the track, was balanced by his sense of humor off the track. 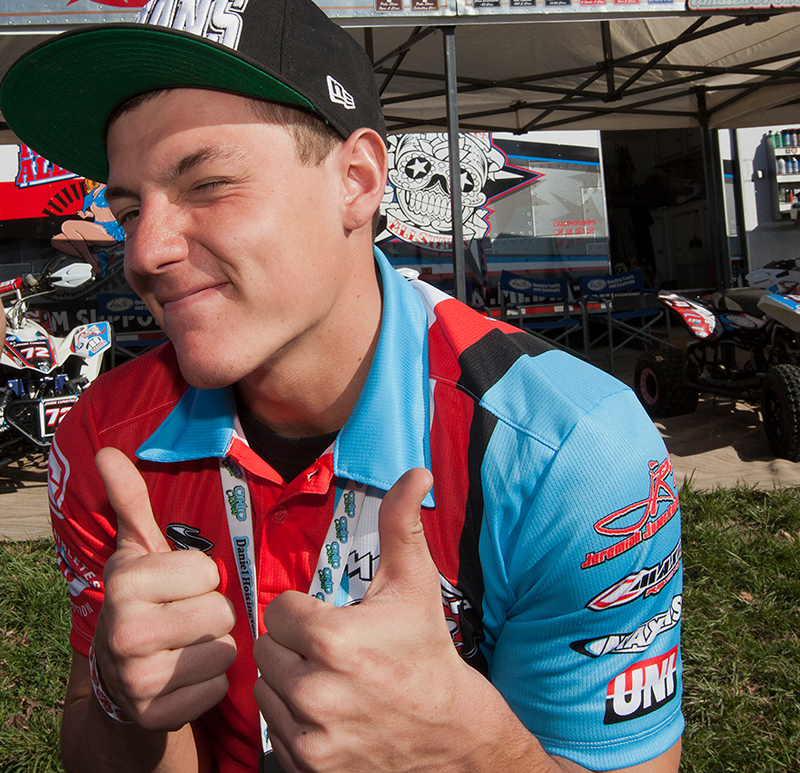 Dan’s racing career hit a major hurdle in 2014 when he broke his ankle, and wrist. At the time of his injuries, Dan was leading the points in the College Boy Class, and was fresh off a Win at the Muddy Creek National. 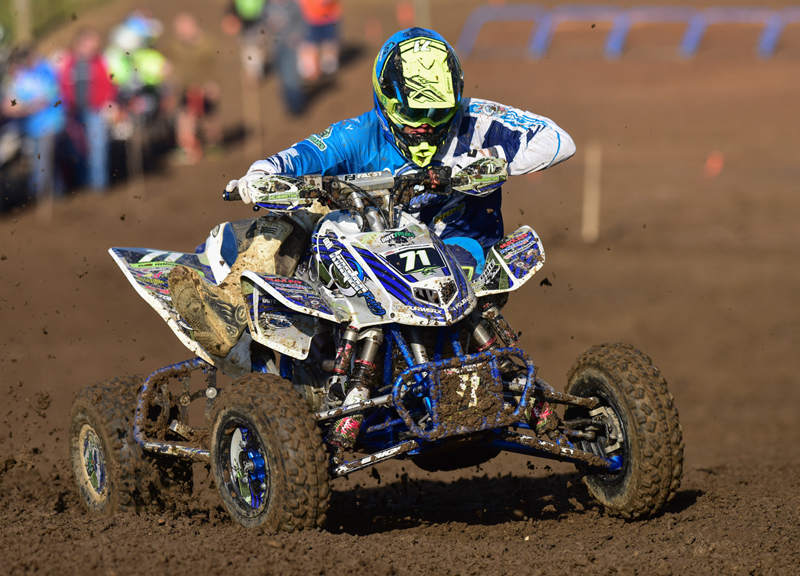 Dan’s last ATV Motocross National was at Daytona in 2016, where he finished 6th in the Pro-Am class. Tragically, Dan’s short life should serve as a cautionary tale to the racing community, as racing injuries led to over prescription of pain meds, which eventually turned into a deadly opiate addiction. While the traditional approach to dealing with such an unnecessary and taboo cause of death would be to hide the details, the Hoisington family led by Dan’s brother Ray wants to shed light on this all too common situation. Pain killer addiction is a very real possibility when competing in just about any sport at the highest levels, and the probability of injury increases in high impact/ extreme sports. Dan’s death shouldn’t be in vain. 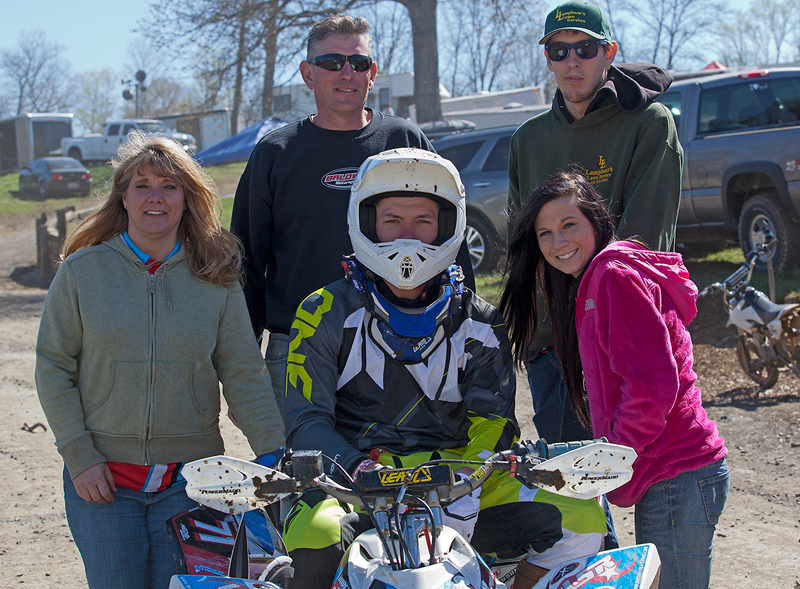 Briarcliff Mx consists of three different levels of motocross tracks, and 2.5 miles of trail loop. The facility as a whole has gradual to moderate elevation change, roughly 30-40 feet. All soils are clay based with traces of sand in different locations, and no shale. Quite possibly the best natural soil found anywhere. The facility rests on a 140-acre tract of land, and can currently provide up to 15 acres of flat parking.